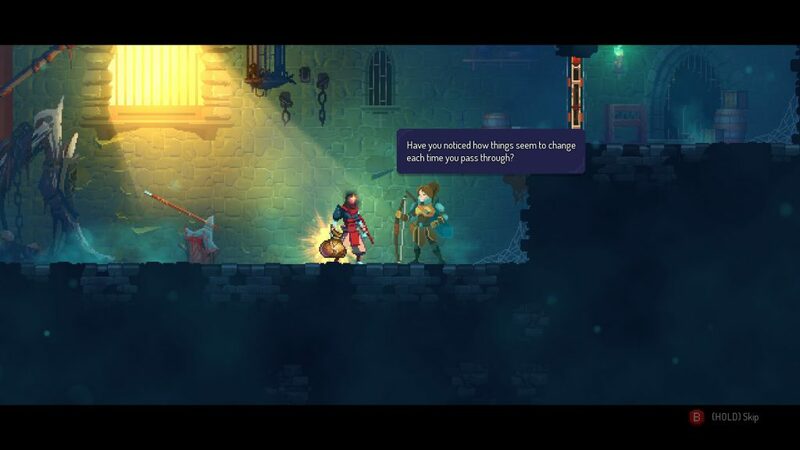 » PC Gaming » Dead Cells Review On PC, Is It Worth The Hype? Dead Cells has perma-death, Castlevania inspired weapons/locations and combat comparable to Dark Souls in a way. 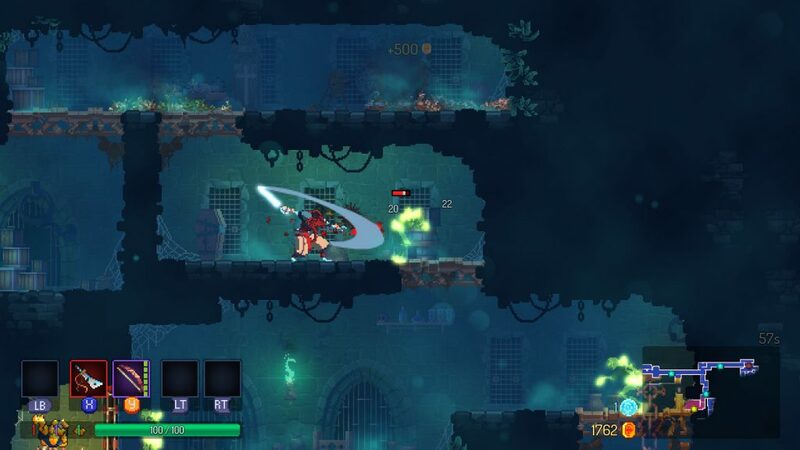 Many call Dead Cells a 2D version of all of these types of games combined which is mostly true. Castlevania had some pretty awesome weapons and locations involved and you can tell that Dead Cells is heavily based on it. Traverse castles, the ramparts and sewer systems as you progress through each level. To win, you have to beat the game in one go. That means no checkpoints. Keep crawling through each dungeon and learn new ways of combating the enemies as you go. 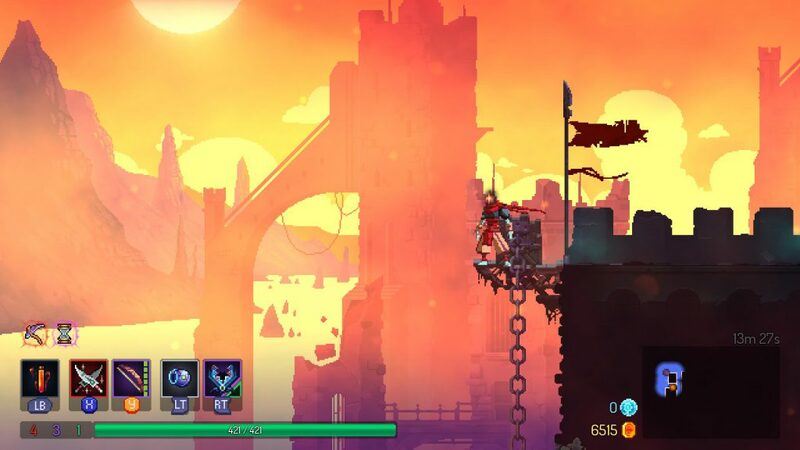 I’ve always been a huge fan of rogue-lite games and Dead Cells is at the top of the list when it comes to rogue-lite now that I’ve gotten quite a bit of play time in it. 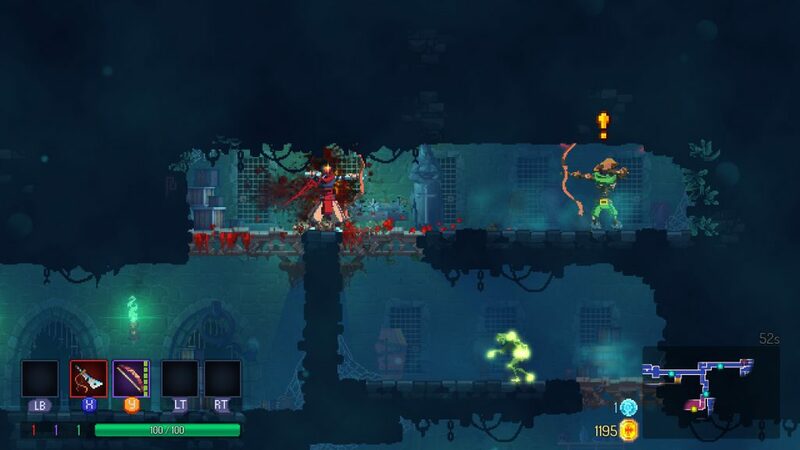 If you’re a fan of platformers, having to read the patterns of your enemies in combat and having permanent upgrades in a rogue-lite type of game then definitely read on as Dead Cells could be the game you’ve been looking for. Combat in Dead Cells is actually very fluid. You don’t feel like you’re simply spamming the same attack over and over and the enemies aren’t too forgiving, especially when you get to the later parts of the game. As you progress through each level and unlock more and more upgrades you’ll be able to fight off the monsters with more ease. You’ll also need to memorize how each enemy moves with their animations as some monsters have more than one move that they’ll execute on you. Everything from swords, daggers, bows or giant hammers… your loadout will depend on what you have unlocked and what you choose to have as a combination. There are also a bunch of different skills and items that you can use during combat. This includes grenades, bear traps, turrets and more. You’ll have to dodge moves, utilize skills and use your items wisely with each encounter. It’s all up to you how you fight. Personally, I like using a Blood Sword with any type of bow. This way I can leave my opponent bleeding while I can also dodge away and shoot from afar. I’ve also tried using a Great Sword with a shield instead of a bow as my secondary. Even though I couldn’t quite get the timing right for parrying attacks with the shield, I still can see how it’s very viable. Every run has randomized equipment so you’ll want to make sure that you’re using the right weapons and that they correlate with each other well! It’s fun finding new combinations that work well. As you unlock these upgrades they show up at the beginning of each run in the starting room as jars. After you get a lot unlocked, this room looks pretty awesome as it’s lit up with each upgrade! If you dig RPG elements then there is a taste of them here in Dead Cells. As you go room to room you’ll find level up scrolls which you can use to level up certain aspects of your characters for the run that you find them on. These stats that you level up are what will give you more damage depending on what type of equipment it is, your health and it’ll increase your mutations as well. Your brutality stat is directly tied to how much damage you do with red items. Most melee weapons are red as well as most grenade type items. This stat also increases the usage of red-type mutations. 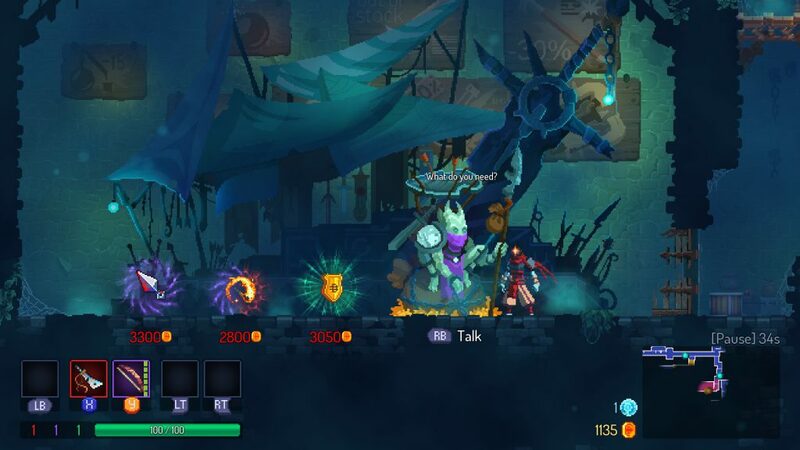 The tactics stat is tied to how much damage you do with purple items. Most bows are purple as well as most traps. Tactics will also increase the effectiveness of purple mutations. The survival stat is tied to how much damage you do with green items. It’s also great for when you want to increase your total health as the survival stat is what will increase your health the most. 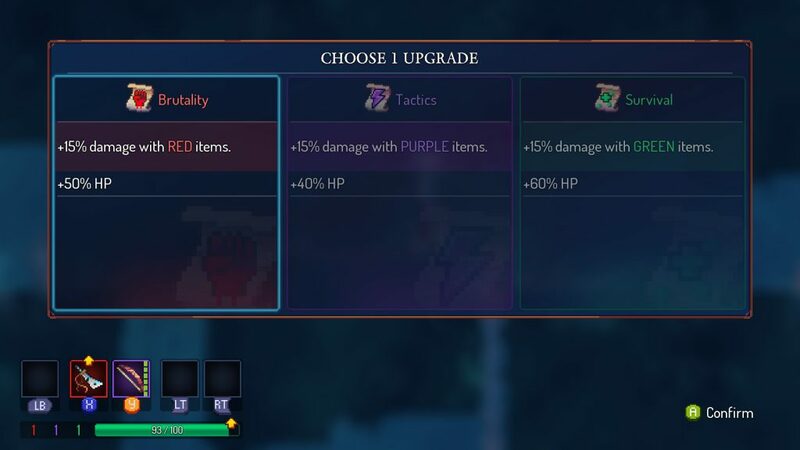 Some items are purple/green together and the item will follow with whichever stat is highest. 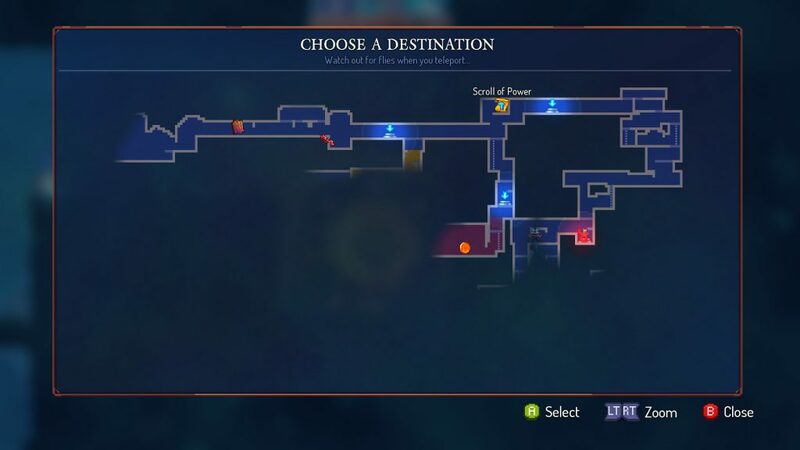 You’ll find level up scrolls as you explore the world of Dead Cells. It’ll allow you to choose an upgrade depending on which type of scroll you find. You’ll find different combinations of level up scrolls or even scrolls that allow you to pick one of the three stats. 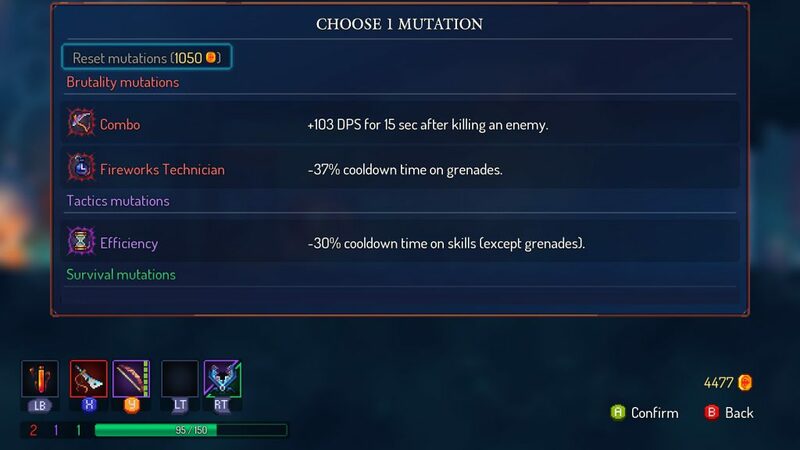 Mutations are basically passive perks that increase different aspects of your character depending on which mutations you end up choosing. As you focus on one type of stat then the effectiveness of an upgrade scroll for that stat will decrease. For example, if I keep choosing to upgrade my brutality stat over and over again then the percentage amount of the damage and health increase is going to be slightly lower every time. In my experience, it’s best to choose a stat path that works best with whatever loadout you have or plan to have on your run. Progression all comes down to finding new blueprints for new weapons in the future, leveling up your stats as you go through each run and finding the ultimate loadout for your play style. 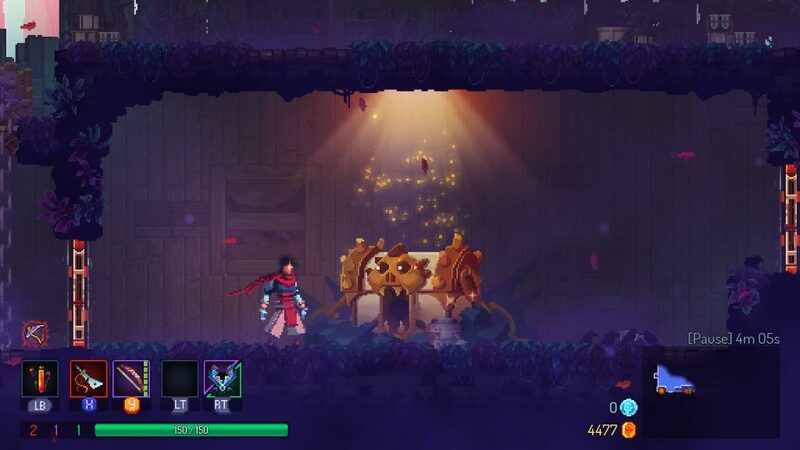 I believe that PC is the best platform to get Dead Cells on simply because you have the option of adding in mods if you ever deemed it necessary. There are cosmetic mods, music packs, balance changes, starting room changes and more. 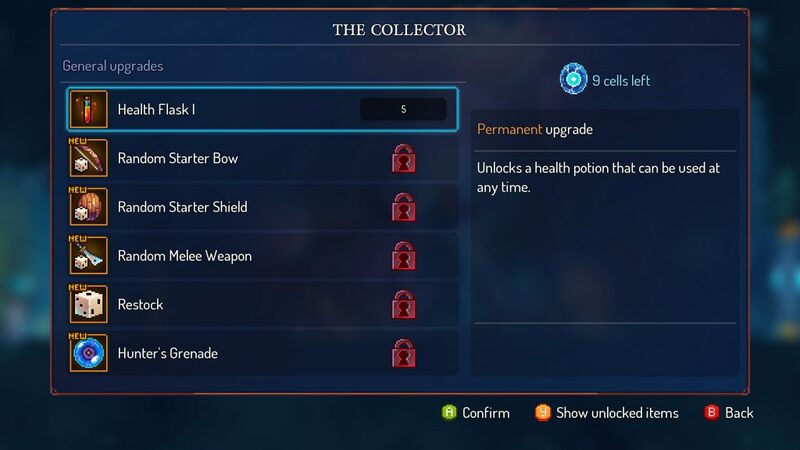 With the recent v1.0 release of Dead Cells, it is said that they want to ramp up support for mods and let people have the ability to really change the game drastically down the road. Hopefully this means character skins, weapon skins, custom weapons, more bosses and more level types that the community creates! Mods are a big deal for me, especially when it comes to these rogue-lite games. After I beat the game, what is to keep me coming back to play it over again? The answer is mods. 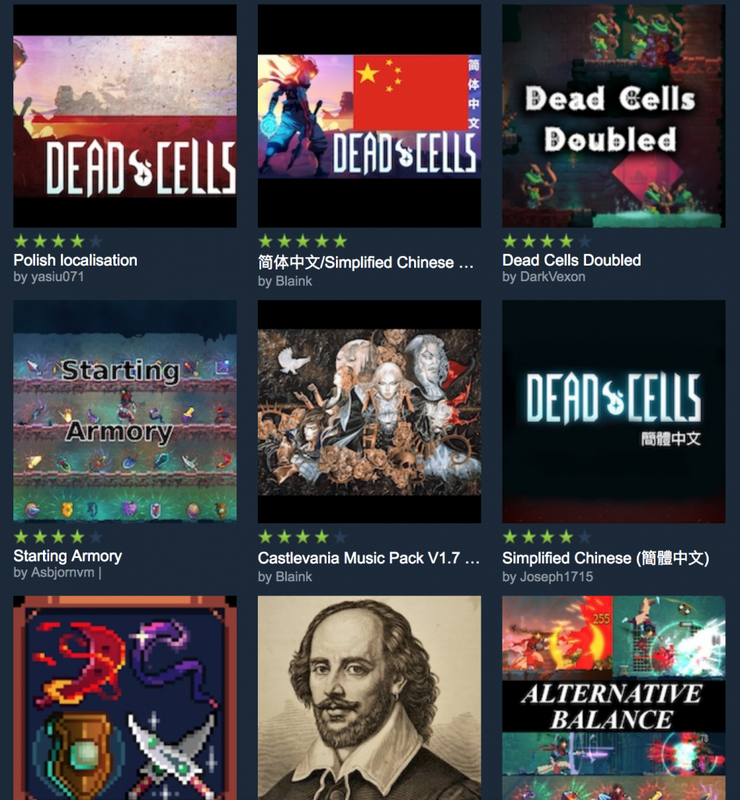 If the Dead Cells modding community can ramp up the content portion of the workshop and get even more mod support than what the developers are already providing then I can foresee plenty of unique mods coming soon for Dead Cells. I’ve always loved pixel graphics, especially in a 2D platformer type of game. 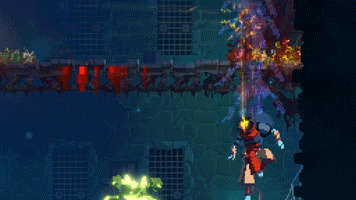 Dead Cells has amazing pixel art going on and the animations are top-notch! 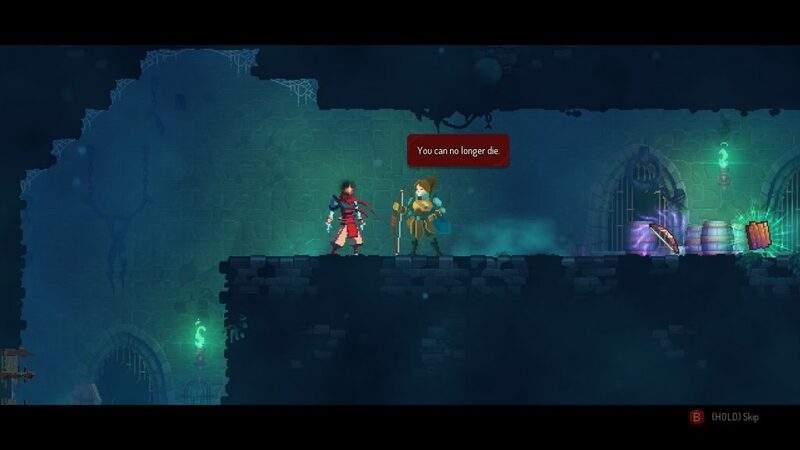 All in all, Dead Cells is a great game! If you like Castlevania, combat that you actually have to learn enemies patterns like in Dark Souls and 2D platformers as a whole then this is definitely a game you should check out. The PC version has mod support and they just recently updated the game to their final v1.0 release. Developer support is still going on even after the full release with plans for DLC in the future which means that there is still more to continue looking forward to! Be sure to look into it, it’s definitely one of the best if not the best rogue-lite game I’ve ever played. So, have you played Dead Cells? Or do you plan on picking it up soon? 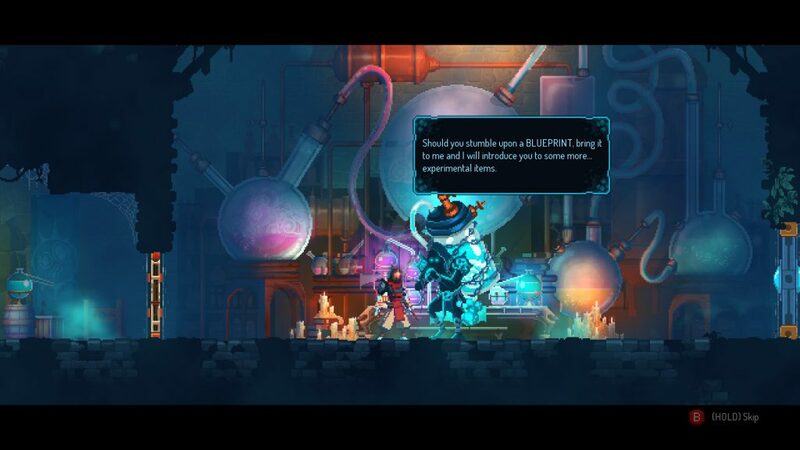 What is your favorite part about Dead Cells? Tagged dead cells, platformer game, rogue-lite, rpg. Bookmark the permalink.